This letter, authored by the current Mayor of Tallahassee, FL, and read at the Public Hearing on May 31st, opposes the Florida Dept. of Corrections’ relentless pursuit to cut in-person prison visitation. 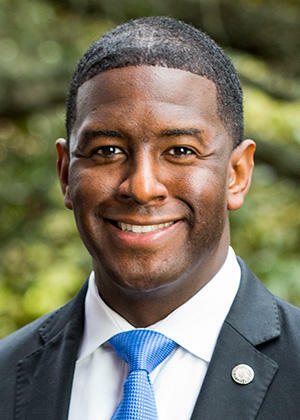 Kudos to Mayor Gillum for taking an unpopular but bold stance on behalf of almost 100,000 families who suffer daily the heavy financial and emotional burdens of incarceration. I write in opposition to the Department of Corrections’ alarming cuts to visitation hours, substance abuse and mental health treatment programs and re-entry and work-release services. Thousands of Florida families and inmates rely on these programs to ensure the State of Florida is properly rehabilitating inmates into productive members of our society. I firmly believe that those who break our state’s laws, and particularly those who harm or endanger others’ lives, must pay the proper penalty. This must be a place where families and people can feel safe to live, work, and grow. But our state’s commitment to those who offend —and their families — must be strong as well, because when that commitment wanes, it sadly strengthens the cycle of crime, incarceration and poverty. The family visitation cuts are particularly disturbing because they fly in the face of research showing that increased visits lead to lower rates of recidivism. The 2015 Prison Policy Institute’s report shows a clear positive correlation between visits and lower recidivism. The Urban Institute issued a report in 2017 highlighting a Florida study that showed that incarcerated people who receive sustained visits were least likely to recidivate. Furthermore, the State’s cuts to substance abuse and mental health programs further endanger inmates and their ability to get their lives back on track. These programs, in conjunction with work-release programs, help ensure that inmates learn skills that can be put to productive use when they re-enter our communities. These cuts will damage our ability to properly keep Floridians safe, as well as our mission to rehabilitate inmates. I stand firmly opposed to them.